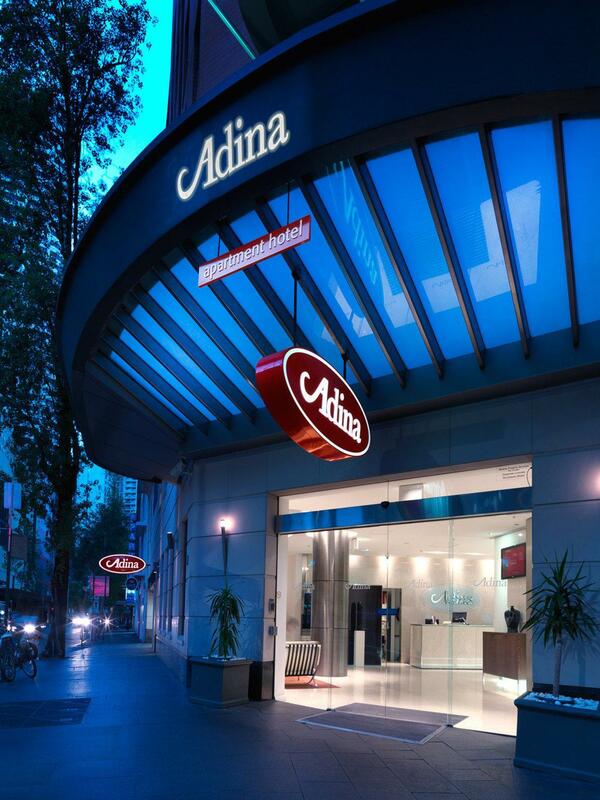 Have a question for Adina Apartment Hotel Sydney Town Hall? 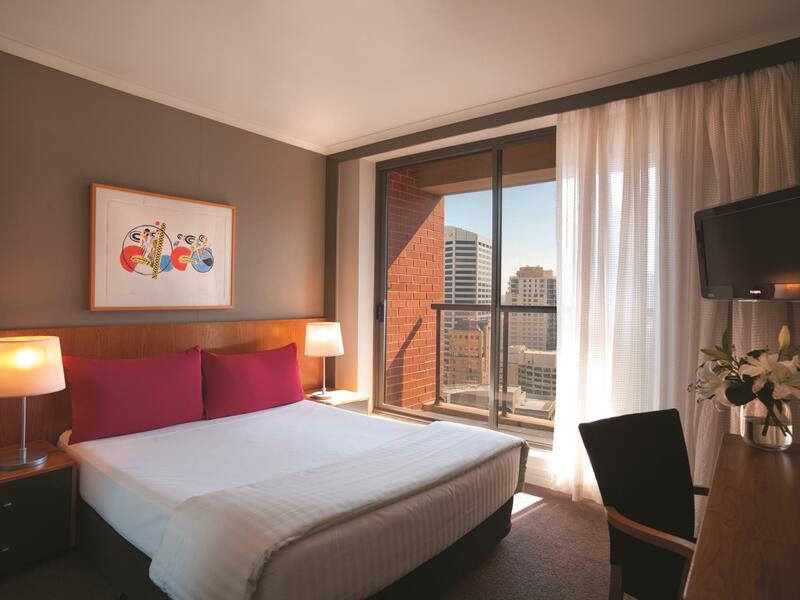 "Clean, comfortable, very close to Town Hall Station and Darling Harbour - a wonderful place to stay and we will definitely stay here again." "Great central location and clean rooms." 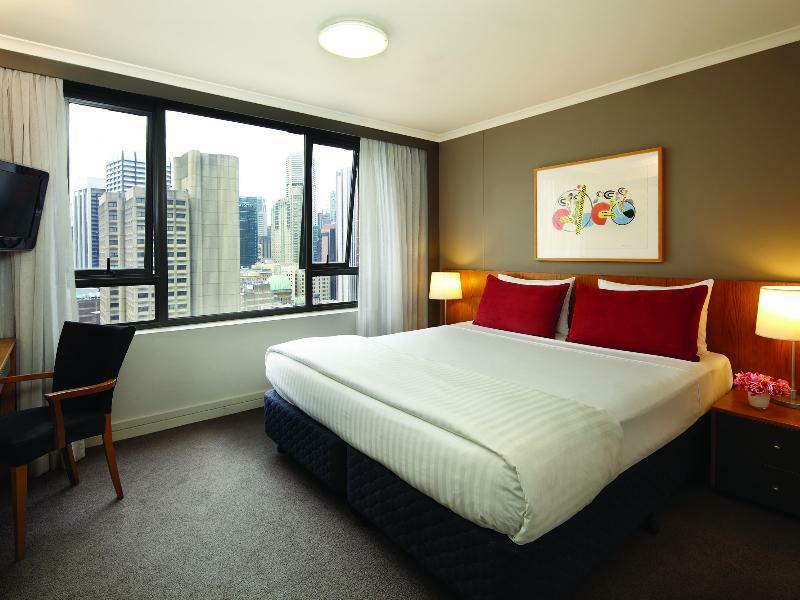 This is a world-class business and luxury hotel with great options and immaculate reception near vibrant cafes and street-life in central Sydney. Whether you are getting around China-town, doing some business in the central business district, or strolling down to the Darling Harbor for some evening seafood, you’re where you need to be in the metropolitan city center. And the rooms and amenities are no exception. With harbor views in the higher rooms, floor-to-ceiling panoramic windows, fully stocked kitchens ready to go for an evening cook-out with a friend, a balcony, and super-modern furniture and apartment design, coming back home to Adina Apartment Hotel Sydney Town Hall from a day of work is something you’ll look forward to. In the evening, if you haven’t already gone down to the harbor, try the Liquiz Cafe, a brasserie hosting excellent cuisine in a cool, artsy setting. Please note that at check-in the hotel will require a credit card bond of AUD $100 for the Studio Rooms / 1 Bedroom Apartments or AUD $200 for the 2 / 3 Bedroom Apartments and a photo ID matching the name the reservation has been booked under. The credit card bond will be released from your card 5 to 10 working days after your departure date. Loved the location easy walk to eateries bars and all the tourist spots. Had a 1brm premium room on the 27th floor with great city views from balcony. Room was ample room for 3 persons - 2 singles and a rollaway. Note to Hotel : the rollaway had an exposed metal rusted headboard frame which was showing its age. I would suggest to either replace or at least make covers for the headboard. The train station was just opposite, all the shopping Malls( QVB, Pitt Street Mall) are just within walking distance; lots of eating places n restaurant near by. Two bedded rooms are spacious n clean. Highly recommended! It was really good overall! Clean and spacious room, close to a food court on the building across..but the swimming pool was just across the conference hall area with clear doors.. it was awkward to swim with lots of people out there doing business.. a frosted glass door would do i guess..but it's not much of a deal breaker for me. We really enjoyed our stay. The apartment was excellent! Love the place. Very quaint. Clean bedroom, toilet and kitchen. Also have washer and dryer. Location is marvellous. Walking distance to Hyde Park, Darlington Harbour, cafés, restaurants and groceries shops. Great location, central to everything in the city and Darling Harbour. Off street parking. On site restaurant with room service. Minor issues on this occasion with broken door to the balcony and 2 out of 3 TVs not working. Will still go back again. The location was the best, Staff was very helpful but the housekeeper was not quite good. I stayed there for 8 nights but when I got back to my room, they put all the towels on different places, sometimes put all the towels/door mat on the dining table, sometimes put on the bed, sometimes hanging in bathroom but overall was good. If you want to find the hotel which is close to station, close to children's playground, close to shopping center, close to tourist attraction, this is the one! 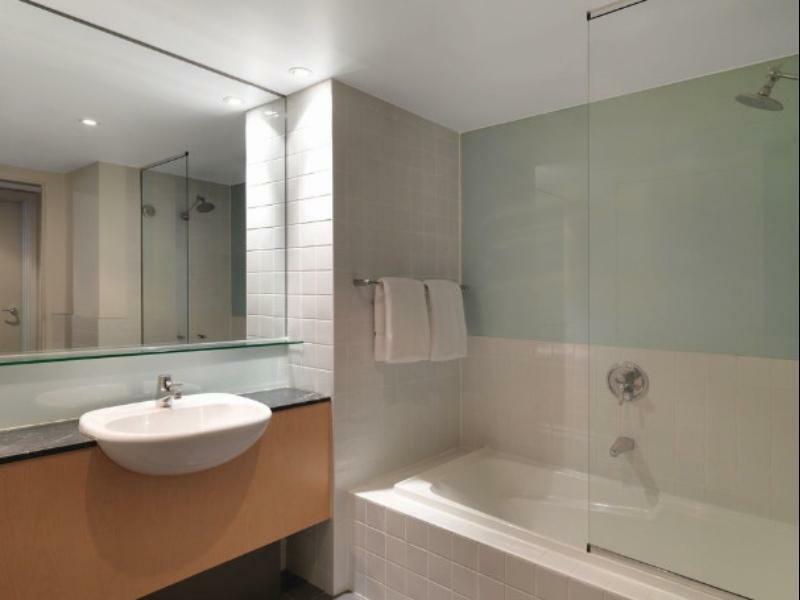 Good location, in the CBD, very near Darling Harbour and Barangaroo. A 20 min walk to Circular Quay and the Rocks, lovely views from the higher floors. Front of house staff not as good as some other places but overall a good place to stay. Excellent location- across the road from Town Hall station, Woolworths close by, downstairs cafe and surrounded by cafes and restaurants. Darling Harbour is a short stroll and major shopping area a block away. We stayed in a self contained 2 bed apartment. Only downside was that it was a little noisey with street traffic at night. I would request a lower level room to reduce the external noise echo. Staff were extremely friendly but we found there were language barriers which made it hard to have simple requests eg bags brought up to our room, maintenance to our room to fix the oven etc carried out. Good location. I book 2bedroom premier. Complete kitchen tools. The view was so great.. you dont have to walk to see fireworks in darling harbour, just see it in the balcony, also Sydney eye tower and central station view in the night is great from your room. Just a Walking distance to paddys, central station, darling harbour, hyde park, even the kids can walk. You can save the transport budget. It's just in 3~10minutes walk from hotel, we could find everything what we want. Their staffs are very kind and polite. And they gave me help and took action for figure it out as soon as I asked. I think the room is very good for drinking/eating/chilling with family/friends. I hope that I can come back someday in near future. Thank you! Great location for one week stay. Close to train station, eatery and shopping malls. Room maintains clean and neat. The staffs are friendly and helpful. Spacious living room for leisure. But I could not change the temperature of the air conditioner. It kept remaining at about 20 degree, which was a bit cold for me. So I requested extra blankets. The staff delivered the blankets straight to my door in a timely manner. My family had a wonderful time. The apartment was clean and big. The location was great. We were so near the shopping area. Walking to places of interest was not a problem although we had our kids with us. This was my second stay and had another good experience. My room had everything I needed for my one-week stay. There are only two lifts and I had to wait for a while every now and then, but this was the only and small thing I concerned about. I would love to stay there again. This is a very conveniently located small hotel in the middle of Sydney. From here you can walk easily to anywhere (Darling harbour, the rocks, shopping areas etc). The hotel is also only one block from a Metro station so you can easily take the metro to and from the airport. There is no way to eat in the hotel but there are many many restaurants and coffee shops around the hotel. The room was very comfortable and clean. The staff, both housekeeping and a reception, were very helpful. I will definitely stay here again on my next trip to Sydney. 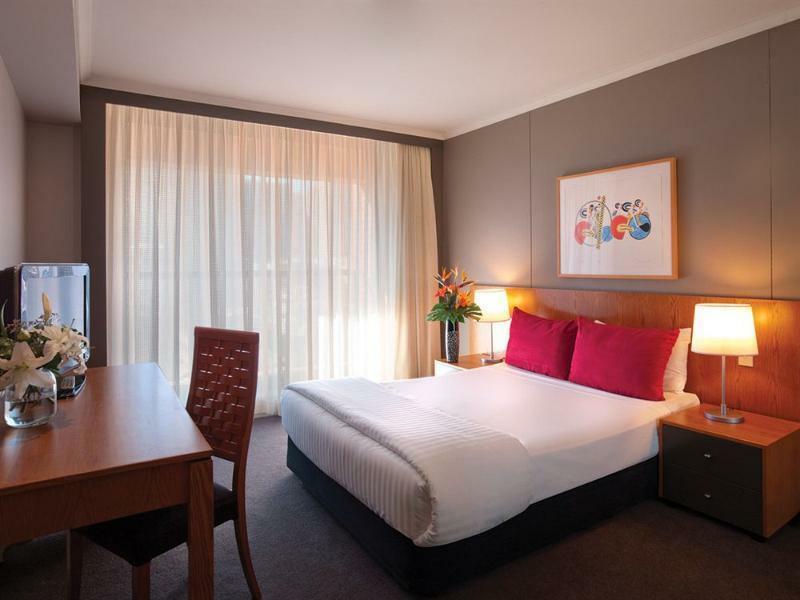 stayed at the medina grand for 3 days in early jan.ticked all the boxes for us.reception always smiling and helpful,location excellent with cbd 3 blocks north and darling harbour 5 minute walk.could not fault the room after receiving an upgrade from a studio to a 1 bdroom apartment.so much room and everything you could need. a lovely stay.